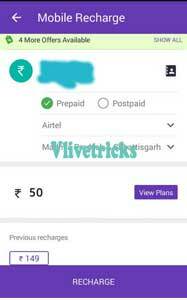 Phonepe Airtel Recharge Offers , Airtel Phonepe Offer – Once again Phonepe Came With 100% Cashback Offer But this Time They are not Giving on Jio , This time they changed Network to Airtel where you can Avail Free Rs.75 Recharge or Pay your Postpaid Bill Payments. 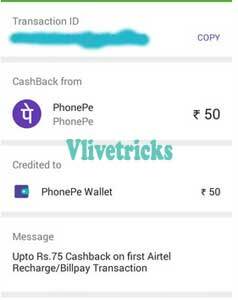 If you are thinking Why they are giving this Phonepe Airtel Recharge 100% Cashback Offer Because after Airtel Disconnected Phonepe app to Make Further Recharge Because of too Many Failed transactions but now Phonepe Fixed that All Issues, Bugs & again added Airtel network in their Recharge Operator List. 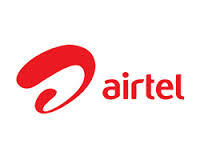 Now you can Make Successful Airtel Recharges. 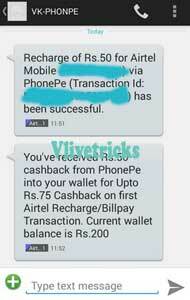 Update : Complete only if you are getting Offer at recharge page because this is user specific offer. 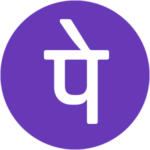 Offer live again but now they are giving upto Rs.75 Scratch Card Cashback on 1st Recharges of February Month and valid on prepaid and postpaid Recharge Transaction so complete all the transactions to get cashback. 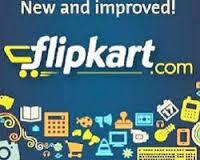 Now Select Recharge Option From Dashboard. 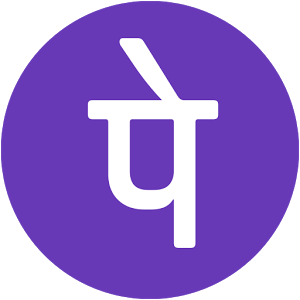 Discussion on "Phonepe Airtel Loot :Free Rs.75 Scratch Card on 1st Recharge Feb’2019"